Based in convenient locations around Surrey. At The Beach, weâ€™ve taken the tanning experience to a whole new level. 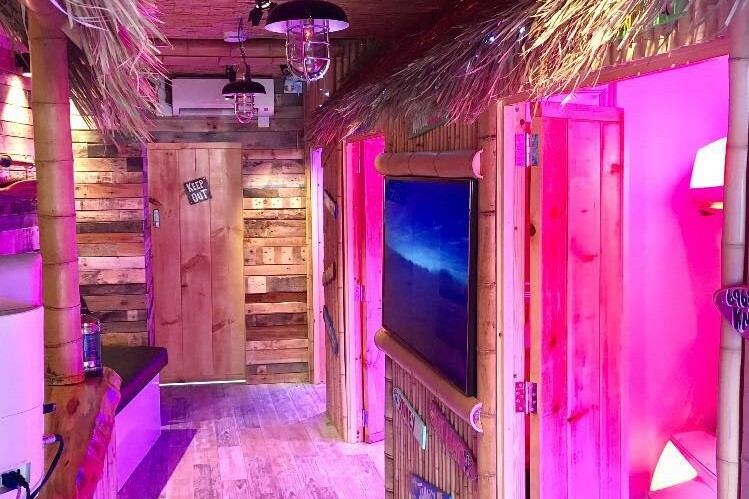 Step into our subtropical paradise for the ultimate fun tanning experience.Our tanning machines are absolutely state-of-art. Ergoline are the industry recognised leading brand and are used across all our tanning salons. Featuring Bluetooth music connect, incredible air-conditioning and incorporating the latest advances in safe tanning technology; The Beach offers an awesome tanning experience that outshines any other.Based in convenient locations around Surrey, our tanning salons are designed to fit easily into your life. Popping in for a few minutes of subtropical atmosphere, while building your tan, will ease you out of your day in style. Our Beach salons eclipse the other tanning options out there. Our specialist team are on hand to greet and advise you so that youâ€™ll get the most stunning tan; safely and enjoyably.